Half circle windows are one of many specializes window shapes that come in the shape of half circles and are available in many distinct sizes and materials. They can be beautiful additions to a home and can add real design pop when placed above a door or window. Half circle windows are nothing more than half of a circle frame with glass cut to fit the fram size. They are produced by numberous window manufacturers who will usually offer unique shapes, sizes and frame options. They are most commonly made from vinyl or composite materials, although wood is the most expensive and beautiful frame option. They are sometimes also referred to as half round and are quite close to circle windows. 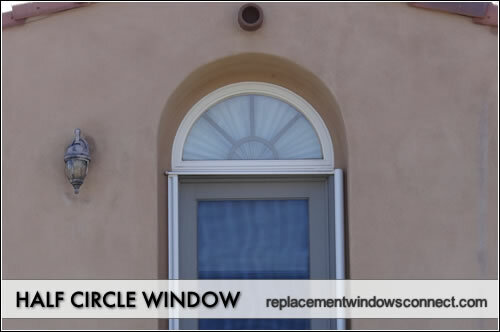 Half circle windows can be custom or stock sizes and homeowners will obviously pay more for custom work. But the real jump in price will come with custom installation where changes have to be made the size of the window opening. 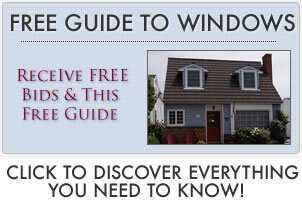 Expect prices for installation to run anywhere from $250 to $600 for window. Half circle windows can be very visually appealing from the outside. Even more so than circles, the half round variations can be used in conjunction with other windows or doors to create a real design element to a home. The best example of this is with palladian designs. Typically, they are placed above the door to add excitement and focus and they look great because they fit perfectly from a design standpoint with the straight bottom edge. They can be smaller in size for an accent above a small frame or quite large for a stand alone affect on a wall. The larger the window, the more light is allowed into the room. Often times, if light and design are the main reasons for their inclusion, the half circle windows are placed high up on a wall to let in as much light as possible. The other added benefit here is that they do not allow people to see inside the house because of this high placement. As was mentioned before, custom installation will be expensive, ranging per opening from $250 to $600 — not including the price of the window. Simple replacement inserts that can be swapped out are the best way to keep costs low. If replacement contractors need to make an opening bigger or smaller the price can climb very quickly.